Oxidants are also known as free radicals and represent anything in our atmosphere that is bad for us or toxic. Sunrays, cigarette smoke, alcohol, pollution, even certain the particles in the air we breathe are all free radicles that cause oxidative stress in our skin. Oxidative stress is a weakening and breakdown of healthy cells. The most visual oxidive damage can be seen when you cut an apple in half. Within minutes the fresh, juicy surface of the apple starts to oxidise, it turns brown, starts to degrade and breaks down very quickly. Similar oxidive stress occurs in our skin cells. Oxidive damage occurs because the atoms that make up free-radicle particles are unstable. When the reach our skin, they try and stabilise themselves by latching onto a healthy atoms in our skin cells, but once latched together, both become unstable. These two unstable atoms then both travel to latch themselves onto other healthy atoms in our skin to stabilise and so on. This chain reaction causes a growing number of unstable atoms which leads to unstable skin cells that can become weak, damaged and even begin to malfunction. This destabilising and weakening of the skin can cause skin sensitivity, congestion and ageing. How can a product help this? An unstable atom lacks the correct number of electrons circling its nucleus. Anti-Oxidant atoms have an abundance of electrons, so it can donate some to stabilise a free radicle atom without itself becoming unstable. This causes a reverse chain reaction of atoms that stabilise, and strengthen the skin. This will have hugely beneficial effects for the treatment of a multitude of skin conditions from acne rosacea and acne vulgaris to ageing and sensitivity. Stronger skin will also age less, have a clearer complexion, and have a healthy glow. Whether you take them orally through fruit and veg or apply them topically in a serum or creme, anti-oxidants are essential for defending the skin against environmental damage. 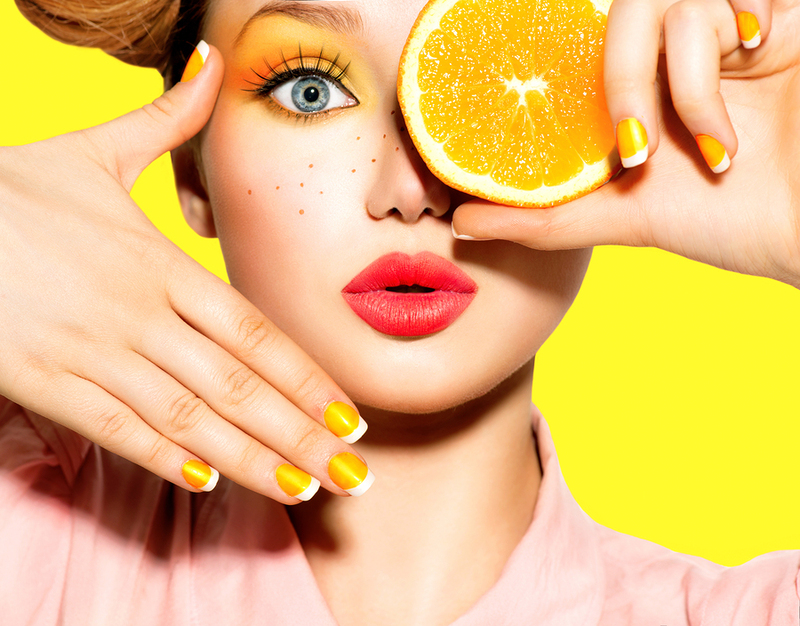 Common anti-oxidants found in cosmeceutical products include stable forms of Vitamin C such as BV-OSC and Superoxide Dismutase. The Vital C Range from IMAGE was designed specifically for the treatment of rosacea with anti-oxidant rich formulas. Our Hydrating Anti-Ageing Serum is our best seller due it’s potent lightening, brightening and strengthening effect on the skin. It works with your body to fight free radical damage and promote a healthy glow. We often call it a vitamin supplement for your skin due to its complex blend of powerful vitamins A, C and E.
To find your nearest IMAGE stockist and ask which of our powerful anti-oxidant products will benefit your skin, click here.